One of Tyson Helton’s biggest challenges in Year One as Tennessee’s offensive coordinator isn’t necessarily what to call on third-and-10 or fourth-and-1. It’s identifying who can do what. Helton said he tried to get a feel for that during spring practice, but there is only one certain way to know. 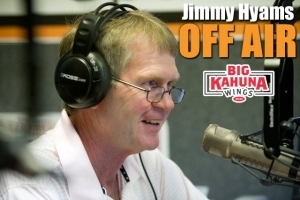 “Not until you get into a game-like situations do you know these are the guys you can trust and these are the talents each guy has to put in a certain spot to do things,’’ said the former pass game coordinator at USC and offensive coordinator at Western Kentucky. Tennessee is not blessed with an abundance of playmakers, as evidenced by the fact the Vols averaged only 14.1 points, 108.8 rushing yards, 166.1 passing yards and 274.9 total yards in SEC games last season. Running back Ty Chandler had a 91-yard kickoff return for a touchdown and ran for 120 yards in a start against Kentucky, so he has big-play ability. But he ran for just 305 yards on 4.3 yards per carry as a true freshman last year. 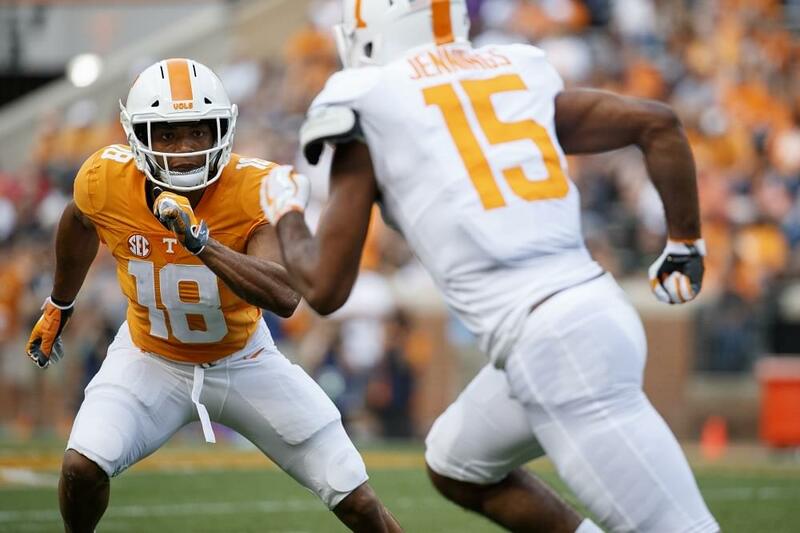 Receiver Jauan Jennings has proven he can make huge plays. Just ask Georgia, where he caught a Hail Mary pass at the end of the 2016 game to give the Vols a victory. In 2016, he caught 40 passes for 580 yards and seven touchdowns. He suffered a season-ending wrist injury in Game One last year. Receiver Brandon Johnson led all wideouts with 37 catches last season for 482 yards but just one score. Marquez Callaway averaged 16.9 yards per catch and scored five times, but he had only 24 receptions and seemed to disappear during games. It’s hard to find another player with big-play ability but perhaps someone will emerge. One of those guys is junior-college All-American tight end Dominick Wood-Anderson. The former high school quarterback caught 31 passes last season at Arizona Western Community College. Another is fifth-year grad transfer Madre London, who came from Michigan State. The 213-pound native of Little Rock, Ark., rushed for 500 yards as a freshman, 120 as a sophomore and 304 as a junior.